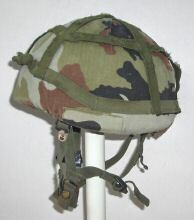 ORLITE 85 - Israeli export model. 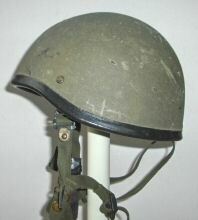 This helmet has now been replaced by a Rabintex 303, see below. 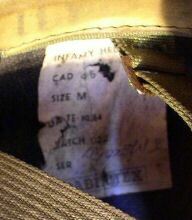 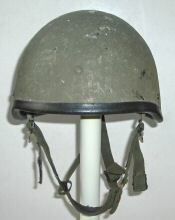 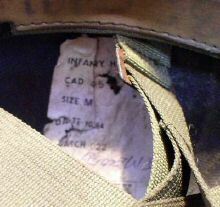 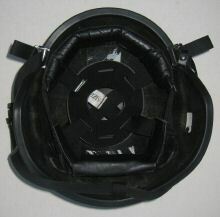 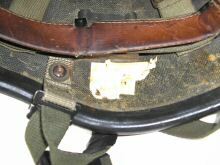 "A de-labelled Rabintex helmet from the Irish army. 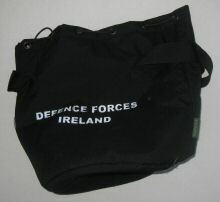 This one came with the shaped Irish DPM ("Paddyflage") pattern cover and carrying bag. 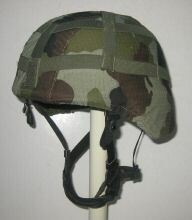 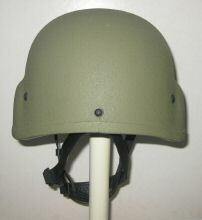 The Rabintex web site says "the RBH 303 AU is a high-protection combat helmet based on the American MICH helmet shape. 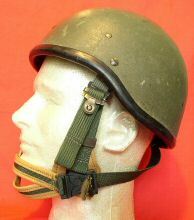 The RBH 303 AU has a special harness which ensures maximum comfort along with high ballistic protection (level IIIA according to NIJ 0108.01 and NIJ 0106.01). 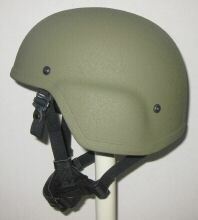 The RBH 303 AU is designed to offer protection against high velocity fragments in accordance with MIL-STD 662F and to offer low velocity impact protection in accordance with EN 397. 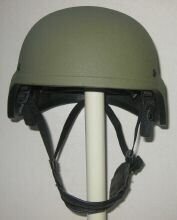 This example is XL and weighs 1.5kg"
May also be known as Rabintex RBH 303IE. 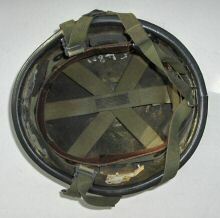 May be identical to the Rabintex model used by Australia, see here.